The 1-2-i-ii setup is one of the best setups for a big, long directional move. It often precedes an A-B setup (a-b-1-2-i-ii). 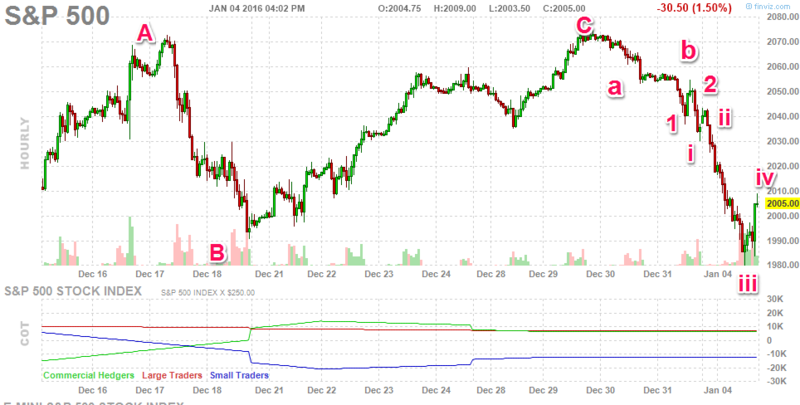 Of course, this pattern can happen up or down. 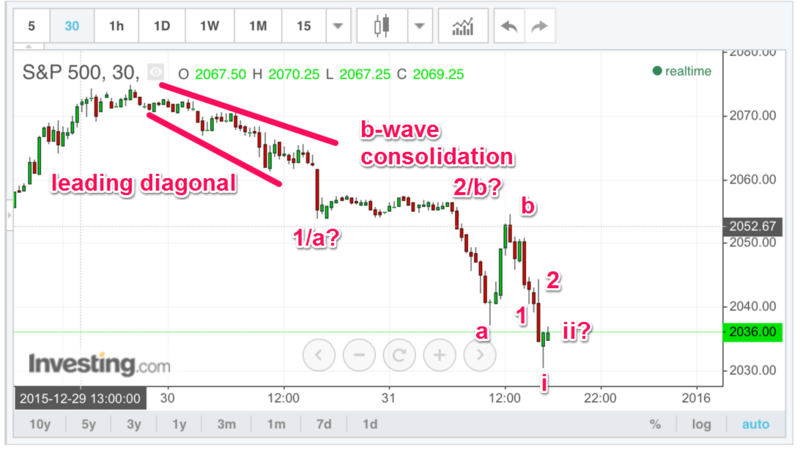 While S&P had a short wave II down and did not go below that low, the Russell was only making wave a — followed by a b-wave up and the a hard c-wave down to complete wave II — retesting the lows yet again into the close. 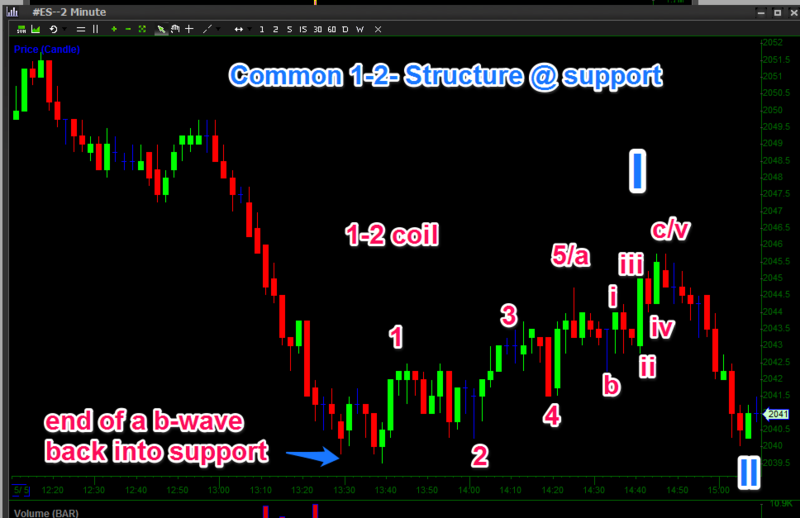 …then, what follows could be longer wave iii that does not contain much retrace for a good amount of time, offering one of the best long or short directional opportunities. 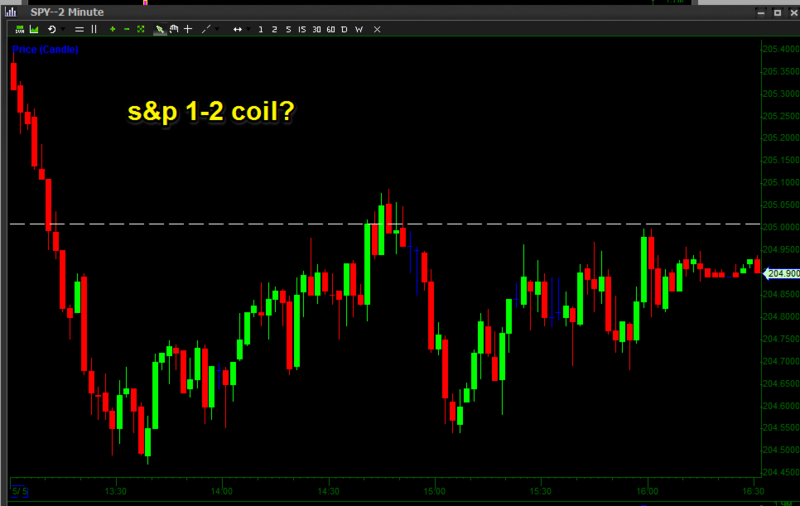 Here are potential 1-2-i-ii setups in Gold. Notice how they don’t all look the same, but can appear in slightly different forms. Here are two examples in two closely correlated assets (gold and silver).